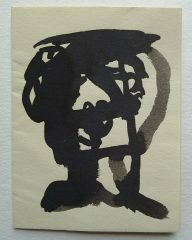 Home / Shop / Books / A signed postcard 1958 from Philip Sutton to Heinz (Henry) Roland, founder and partner in the noted London gallery Roland, Browse & Delbanco. 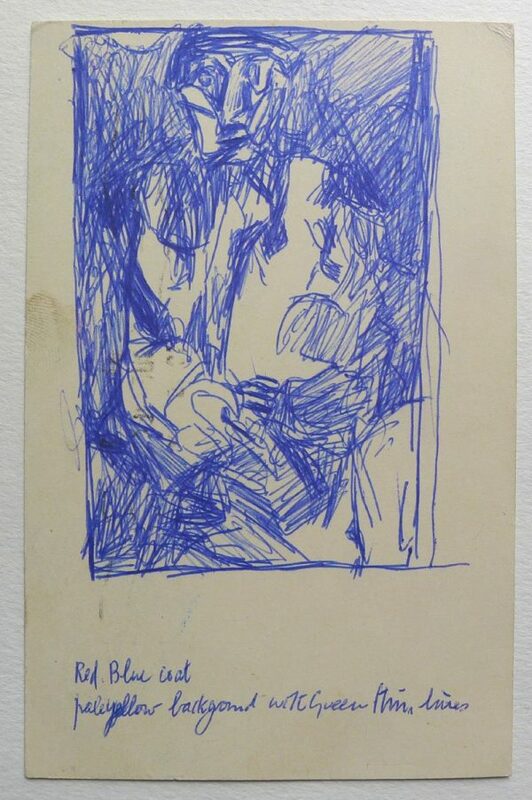 A signed postcard 1958 from Philip Sutton to Heinz (Henry) Roland, founder and partner in the noted London gallery Roland, Browse & Delbanco. 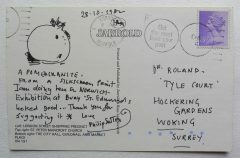 A signed postcard 1958 from Philip Sutton to Heinz (Henry) Roland, founder and partner in the noted London gallery Roland, Browse & Delbanco. 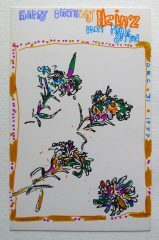 With a fine pen drawing on reverse. 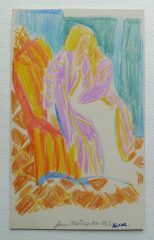 With colour notes by Sutton. 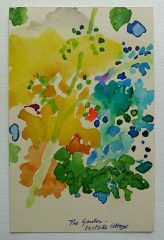 140x90mm. A signed Christmas card from Philip Sutton to Heinz (Henry) Roland, founder and partner in the noted London gallery Roland, Browse & Delbanco. 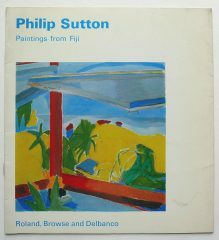 Philip Sutton, Paintings from Fiji. Roland, Browse & Delbanco, London 12 February to 13 March 1965. A signed card from Philip Sutton to Heinz (Henry) Roland, founder and partner in the noted London gallery Roland, Browse & Delbanco. A signed birthday card from Philip Sutton to Heinz (Henry) Roland, founder and partner in the noted London gallery Roland, Browse & Delbanco.